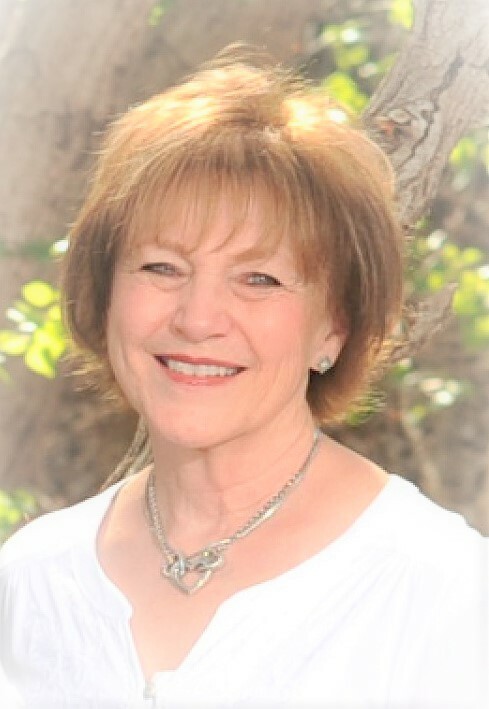 Joyce Eileen (Brown) Henderson, 70, of Mesa Arizona passed away peacefully on Friday, June 8, 2018, at home with her loving husband of 52 years by her side. Joyce was born on July 29, 1947 in Seaside, Oregon to her parents, Leo and Frances (Witte) Brown. She moved to Craig, Colorado when she was 16 years old where she met and eventually married her high school sweetheart, Gerald Henderson, on July 31, 1966. They moved to Arizona shortly after where they have resided for the past 49 years. Joyce’s deepest desire in life was to be a mother to a large family. Her greatest joy was her family. She was a nurturing mother to 13 children and a beloved Grandma to 51 grandchildren and 3 great-grandchildren. She loved the gospel of Jesus Christ and was a devoted disciple of the Savior. Joyce was a noble and gracious woman. She was loving, patient and a friend to all. She always did her best to see the good in everyone. Her loss is felt deeply and she will be tremendously missed by many. Joyce is survived by her husband, Gerald; her children, David (Melanie), Tracy Pezzi-Lewis (Michael), Ken (Linda), Brad (Elizabeth), Tiffany Anderson (Carter), Sabrina Wall (Thomas), Jared (Dianna), Summer Gardner (Trevor), Mandy Lunt (Andrew), Tyler (Leandra), Bryce (Becca), and Ashley; her siblings, Leo Brown (Nancy), Denny Brown, Jan Gates, Doug Brown (Darlene), Jill Storey, and Lindsay Brown. She is preceded in death by her beloved son, Matthew; her parents; and her siblings, Howard Brown and Julie White. Funeral services will be held on Saturday, June 16, 2018, at 10:00am, with a visitation from 9:00-9:45am, at The Church of Jesus Christ of Latter-day Saints, Hermosa Groves Ward, 2549 N 32nd St, Mesa, AZ 85213. My condolences to family and friends. I knew Joyce when she was a kid with a big family that lived down the street from me — and as the sister to my best friend and grade school classmate Julie. One of my fondest memories of Joyce was how kind and caring she was to me. Dear Hendersons: Our whole family sends their love and condolences. We all loved Joyce so much! She was a wonderful friend, neighbor, Church member, walking companion, and part of our “lunch bunch”. She and I had so much in common. We would often laugh at the fact that many people would get the two of us confused (both short with dark hair)—but maybe it was because we had so many of the same life experiences raising large families. Phil and I were away for so many of the past years that we were gone while she was sick. I’m so sorry I could not have been more supportive. Please know that Joyce was dearly loved by all of us and will be sorely missed. Our knowledge of the Gospel is so comforting at a time like this. FAMILIES ARE FOREVER! I am so sorry for what you are going through. Sending prayers and all the best to you and your father for peace. All of us in the graduating class of 1965 are grieving with her family and friends everywhere. She was a bright light in our class when she moved to town and always had a smile and a good word for everyone she met. We all send our prayers for your peace at this time, especially Gerald. All our thoughts are with you. We are so sorry about Joyce, she was such a caring, kind, and loving person. She will be missed by Gerald, children, siblings and her many friends. Life is fragile as we all know. One day you will all be together again. Sorry to hear about the passing of Joyce. She has always been a very good friend to my mother even though we live in Utah. She will be missed. How can I ever thank you for the lifetime of love and inspiration you have given me? You have been my hero for as long as I can remember. I’m so thankful for the lessons I learned from you. For me your are the definition of true charity. You ALWAYS see the best in everyone even when no one else is able. You are so gracious and make everyone feel welcome with you. You are so thoughtful and remember even the smallest details. Thank you for making Dad’s favorite cake and carrying it all the way to Utah to share with us on the night before his funeral. Speaking of Dad, thank you for the HOURS AND HOURS of free therapy you have given me over the years to understand him. You always give everyone the benefit of the doubt! Thank you for always taking time out of your busy life to meet me at Kneaders. Thank you for always making me feel like I mattered to you and making me laugh. Also, thank you for the wonderful example you have always been to me of an eternal companionship. I could NEVER convince you to go to lunch on a Saturday because you always wanted to be with Uncle Gerald when he was available. The love and devotion you have for him, even when he sometimes irritated you, has always touched my heart. Auntie, I am a kinder, more gracious person because of what I have learned from you but I will try harder to emulate the wonderful example you have always set for me and everyone who had the honor of spending time in your orbit. I love you, Auntie, and I will never ever forget you. Joyce was a beautiful person. She was extremely instrumental in our children’s lives. Always finding the best in everyone. I appreciated her very much. Our prayers to Sabrina and Tom and her family as well. Joyce and I met in 1972 when we both lived in Tempe. Four years later, I moved to north Phx and she moved to Mesa. In spite of this, we had such a special connection that we continued to get together at regular intervals for the next 35+ years. After we went to England and then retired to Washington, we still kept in touch and saw each other whenever we had an opportunity. She is the absolute epitome of grace and femininity, completely unselfish, and possessing of great wisdom and understanding. How my life was enriched by my friendship with this amazing woman!!! Joyce has been a choice friend for more than forty years. We often laughed or cried together as we experienced the ups and downs watching our children grow. I especially treasure the last decade we were visiting teaching companions. Her caring heart was always sensitive to the special needs of our sisters. Since our move from the neighborhood last summer I always thought we would get together again soon to catch up on girl talk as well as share deeper discussions. Dear friend, that get together will have to wait until we meet on the other side of the veil. Until then I will hold the memory of Joyce in my heart and remember how she radiated kindness, good humor, love of family and friends, and abiding faith in the Savior. I will recall her sweet smile and the way her face would light up when speaking about her sweetheart, Gerry, and their children. My prayers and love are with each of you. So sorry to hear about Joyces’ death. Many good memories of living in Tempe where we would trade caring for kids just through the back gates of our homes! Jerry has been a good friend for many years. Know some of the sadness, relief and hope at this time having lost my wife and Joyce’s friend just four years ago to the nasty big C.. I am so sorry to hear of your loss. We would have attended the funeral but we didn’t know until it was too late. We will all miss her.